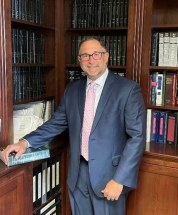 Anthony J. Cervi is an experienced civil and criminal litigator, with over fifteen years’ experience in Buffalo, NY and New York State Courts, New York State Supreme Court, Family Court, Buffalo City Court, and Local Town Courts. Anthony was a U.S. Army Veteran from 1990-1993, serving as an Infantryman in the 4/18 Infantry, serving in Operation Desert Shield/Desert Storm. Anthony is also a Lifetime member of Veterans of Foreign Wars and is a former School Board Member with the Maryvale School System. Legal issues such as divorce, child custody and visitation, legal separation, division of marital assets, and child support payments require a lawyer with divorce and family law expertise, as well as compassion and sensitivity for the family members involved. While your best interests are protected and fought for, the ultimate goal is for a mutually beneficial resolution of the situation at hand for everybody involved. Anthony J. Cervi will fight for and protect your rights, while keeping this end goal in mind.